St Mary Magdalene, Hart –offers a warm friendly atmosphere and a range of four services to nurture and welcome as many people as possible. We uphold a central Anglican tradition and teaching of the faith. 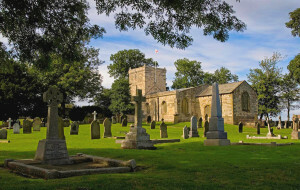 St. Mary Magdalene is a beautiful Saxon church where we aim to build a new extension as a community space to reveal the history of the area and offer a social space to enjoy.